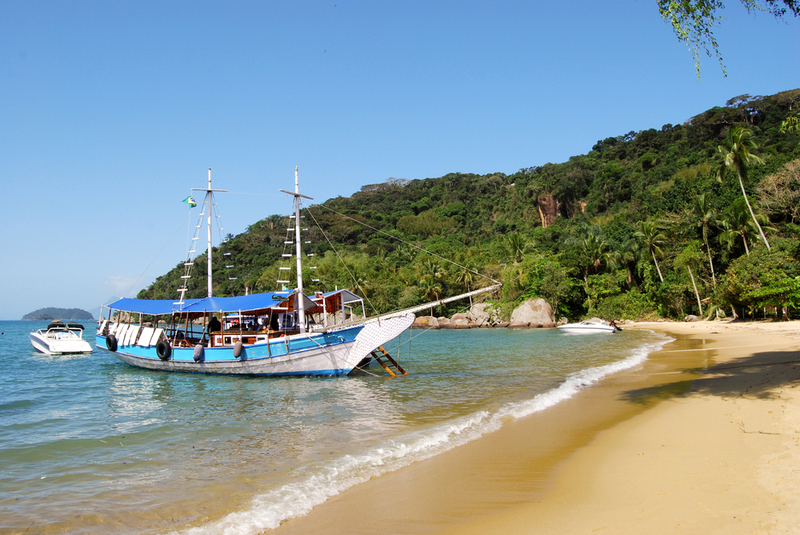 The Beach of Ilha Grande, Brazil. Photo credit: Shutterstock. this little island sits of the coast of Brazil, somewhere south of Rio de Janeiro but also quite close to Sao Paulo. Considering its proximity to Brazil’s two largest cities it’s somewhat surprising how untouched this little island still is. Best of all you can also get their via the brilliantly preserved colonial port town of Paraty, which is worth a few days visit all on its own. Entering the port on Ihla Grande, you’ll notice that it’s just a small town wedged into a small valley leeside of the island. The town’s picturesque church is right near the port, on the beach and is the dominating structure in town. The far side of the island has one of Brazil’s, if not the world’s best beaches. It’s a bit of a walk but certainly worth it. There are also walks to some serene waterfalls and on another side of the island there is even an abandoned penal colony which can be explored by anyone willing to talk there. I’ve done it myself and although it was a little eerie it was well worth the walk. 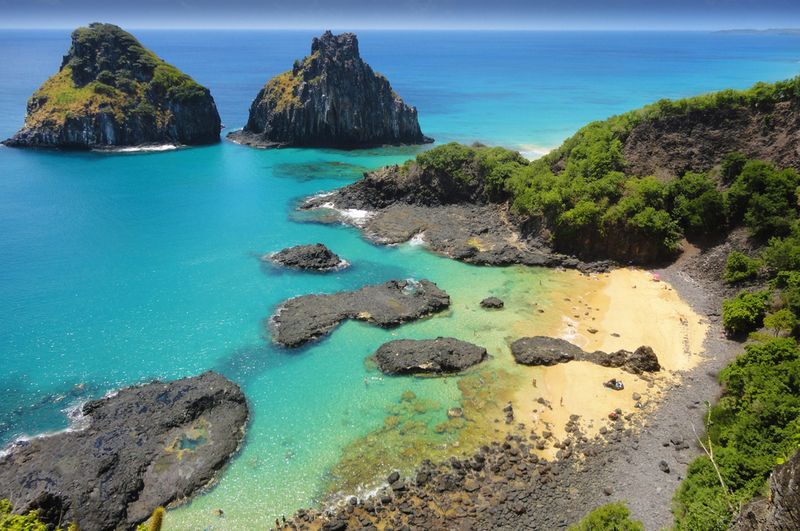 Fernando de Noronha, Brazil. Photo credit: Shutterstock. Protected by its isolation, this little archipelago is actually approximately 350 km off the North East coast of Brazil. It’s renowned for its untouched wildlife and pristine beaches and fortunately the local government has put measures in place to keep it this way. Approximately 70% of the islands land area is national park and has a limit of 500 tourist per day. 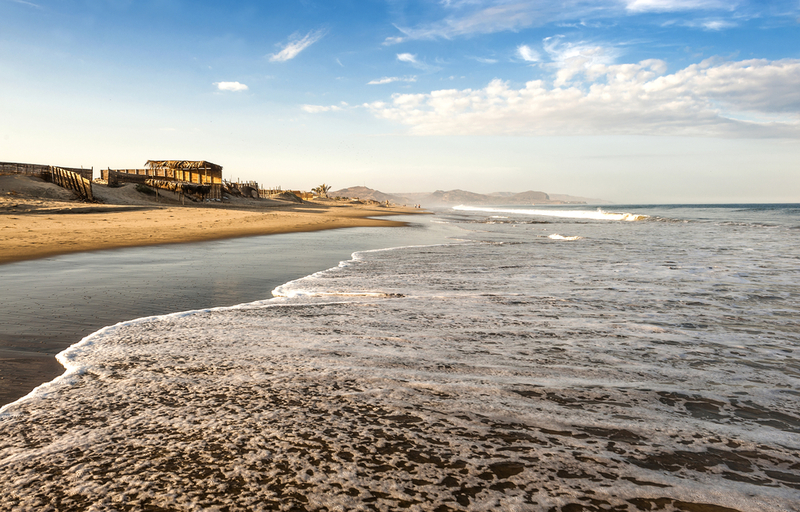 There are no large, crowded resorts – just virgin beaches and homely beach posadas. 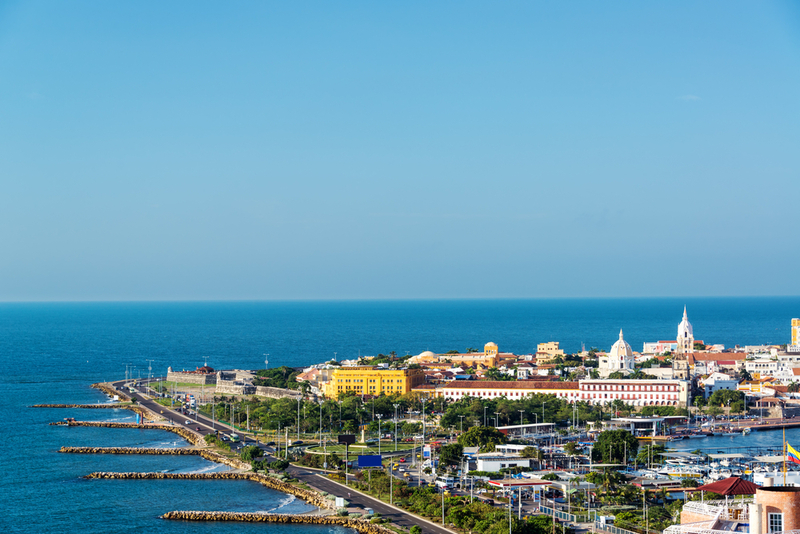 It isn’t the easiest place to get to, if you enter Brazil from Sao Paulo or Rio de Janeiro like most people, you’ll need to first connect on a flight to the north Brazilian city of Recife and from there take another 90 minute flight out to the islands. Mancora Beach. Photo credit: Shutterstock. This little beachside town is still just that. It has become popular with the Lima elite in recent years but is still off the mainstream international visitor routes. The beach is not but the sand itself probably the brilliant white/ yellow of beaches in other locations like the Caribbean or Brazil. What it lacks in striking beuty it makes up for in vibe. It reminds me of one of those Thai beaches that use to be so relaxed and uncrowded before beach tourism went completely stratospheric in Thailand. You can buy some food and a Pisco Sour from a street vendor and just sit on the beach for hours, whiling away the time. There are also some quality, boutique sized waterfront beach resorts there now too. Maybe not a destination all in itself but if you’re looking for somewhere to relax after a hectic itinerary in Peru or Ecuador, then this would be my suggested spot. Morro de Sao Paulo, near Salvador de Bahia, Brazil – Salvador de Bahia in itself is an interesting beach location. One of the first settlements in Brazil, Salvador has a long history as a colonial trading port and South American hub for the African slave trade. Unsurprisingly Salvador to this day has the highest proportion of African heritage Brazilians in the country (more than 50%). On the outskirts of Salvador there are some large beach resorts, although these mostly cater to the domestic market, for the wealthy Sao Paulo set. Salvador’s beaches are also littered with reminders of the city’s colonial past with staggered small forts along sitting along the headlands that separate Salvador’s various central beaches. It’s well worth a night or two in Salvador, either at a beachside suburb such as Barra or in the fantastically resorted colonial suburb of Pelourinho. Salvador does have some social issues however and one of these is reasonably high crime levels. Outside of the main tourist areas, walking the streets at night isn’t generally recommended. Hence why a few days in Salvador is probably enough before you want to be able to just relax in a more laid back setting – and fortunately the paradise of Morro de Sao Paulo is just a short ferry ride away. Take couple of hour’s journey south of Salvador and you’ll soon find yourself relaxing in this still reasonably untouched beach town. On arrival grab a caipirinha on the beach and all will seem good in the world. There are some good accommodation options and the relaxed vibe is generally just want the doctor ordered. Make sure you spend at least 4 days here – you won’t regret it. The beach of Cayes, Belize. Photo credit: Shutterstock. One of only two English speaking countries in Latin America, Belize is small slice of land, south of Mexico’s Mayan Rivera and just east of Guatemala’s famous Tikal ruins (made famous as a rebel base in the original Star Wars movies). In fact if you’re looking for a bit of culture as part of your trip you can easily do a day trip across the border from Belize into Guatemala to visit Tikal. But you’re probably not reading this article to find about Mayan ruins. 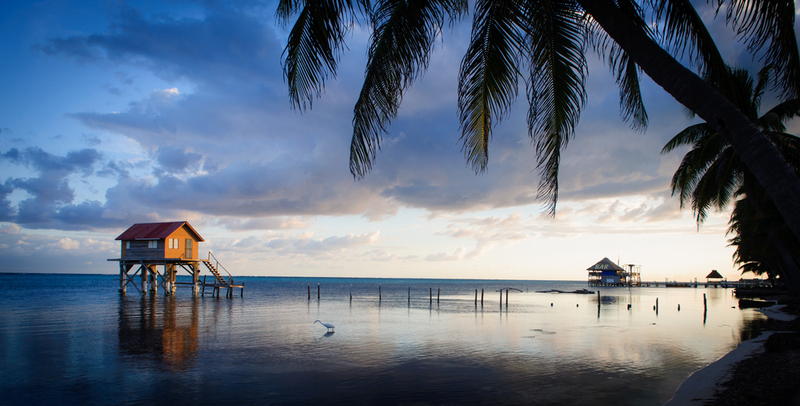 What Belize is really all about is its series of cayes sitting of the coast. These small sand islands are so small that they are essentially small beach towns floating on the water. Considering their proximity to the mega resorts of Cancun and Playa del Carmen in the Mexican Mayan Rivera, it’s amazing that they are still relatively untouched. Most of the accommodation is reasonably basic but there are certainly some Superior options for those looking for something a little more comfortable. Caye Caulkner has been named as one of the top 50 beaches in the world! In particular the diving in Belize is spectacular. Locations like the blue hole have attracted international fame, at least in diving circles. In short a great place to relax for a week or so, away from the madness of the Mexican mega resorts. The coast of Cartagena, Colombia. Photo credit: Shutterstock. This walled colonial city is steeped in history. Arguably once one of the most important ports in the world, Cartagena was main port in facilitating the Spanish plunder of South America. A large amount of the gold, silver and other valuable commodities to be ripped out of the Inca Empire and slave mines like Potosi in Bolivia came through this port. As you can imagine this made the port a valuable target, not only for pirates but also for nation states. Spain had to regularly hold off attacks from the British and French to keep the port. Many of the treasure laden ships were sunk by pirates and buccaneers off the coast of Cartagena and in fact, one of the most famous of these was just found recently (insert link to San Jose blog here). The main walled city of Cartagena is still there and throughout Latin America there are few examples of such well-preserved colonial towns situated in such an idyllic Caribbean beach setting. You can relax on the beach during the day and then wander fantastic restaurant and café lane ways in the evening. There’s a wide variety of boutique accommodation, befitting the colonial nature of the town. Well and truly worth a visit.